For tax-year from April 2017 we can put up to £20,000 per year into tax-free savings whether Cash-ISA or Stock-and-Shares-ISA or a combination of the two. With average annual gross earnings around £28,000; the £20,000 limit is more than enough for the ordinary saver. Cash-ISAs are risk-free. In January 2017 the government guarantee (Financial Services Compensation Scheme) returned to £85,000 per provider. Since 2010 savings have been eroded slightly by inflation. £10,000 in a savings account returning 2.0% less than inflation loses £200.00 per year in purchasing value. Demand for Cash-ISAs fell sharply in 2016-2017. The number of new accounts dropped by 1.6m to 8.5m and the total amount subscribed slumped by nearly £20bn to £39bn. Stocks-and-Shares-ISAs increased to a record high with £22.3bn invested. The trend continued in 2017-2018, an additional £7.8bn invested was almost entirely Stock-and-Shares-ISAs. As well as low interest rates, the personal savings allowance introduced from April 2016 has contributed to the fall in Cash-ISA subscriptions. With the personal savings allowance, savings interest in regular savings accounts is paid gross and basic-rate taxpayers can receive interest of up to £1,000 per year tax-free. £1,000 would be £40,000 at 2.5%. Cash ISA's still account for 72% of ISA subscriptions. FTSE-100 was 6930 at end-December 1999, and had fallen to 3287 in mid-March 2003. It was about 6730 on mid-June and mid-October 2007 and had fallen to 3512 early-March 2009. It was back around 7000 during the first 6 months of 2015 and again during the final months of 2016. These huge variations make us cautious of equity-based savings, but ignoring equities removes the possibility of higher returns. The theory is that low returns go with low risk, and higher returns with higher risks; and in the long-term equities will out-perform savings accounts. Period 1990-1999 was exceptionally good for equities; 2000-2009 was bad for equities, we lost money in real-terms and we would have been better-off investing in Cash-ISAs; period 2010-2017 was better for equities. This is illustrated by the table showing outcomes for £5,000 invested at the start of the period. As with all examples start and end dates matter, 2000-2009 included two stock-market crashes. ISAs based on index-tracker funds should have no initial charge (sometimes up to 5% for other funds) and annual charges which are lower than those for actively-managed funds. There is research from US universities which says trackers overall, on-average, out-perform actively-managed funds. An advantage of trackers is you do not need to check share prices regularly, you can leave monitoring to the fund. "diversification is a protection against ignorance; it makes very little sense to those who know what they are doing." 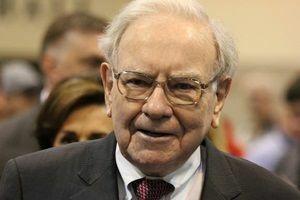 As part of the 49th Berkshire Hathaway annual report that came out earlier this month, Warren Buffett wrote that he has given instructions to his wife/long-time partner Astrid Menks on what she should do with the money she inherits when he dies. One might think that the instruction might get quite complicated since she'll be inheriting money from one of the richest men in the world. The truth is the advice is quite simple. Warren Buffett wants his partner to invest 90% of her inheritance into a low-cost S&P 500 index tracker. He also advised that she should invest the remaining 10% into short-term government bonds. That's it. Nothing fancy. "By periodically investing in an index fund, the know nothing investor can actually out perform most investment professionals. Paradoxically, when 'dumb' money acknowledges its limitations, it ceases to be dumb." "A very low cost index is going to beat a majority of the amateur managed money or professionally managed money. The gross performance [of a hedge fund] may be reasonably decent, but the fees will eat up a significant percentage of the returns. You'll pay lots of fees to people who do well, and lots of fees to people who do not do so well." The cheap tracker funds that anyone can buy will make you more money than hedge funds available only to the seriously wealthy, according to Warren Buffett. And the world's most famous investor has put his money where his mouth is. In 2008 he entered into a bet with an American asset management firm that the main US stock market index, the S&P 500, would outperform a group of five hedge funds over a 10-year period. The results of the seventh year of the bet have just been announced - and Mr Buffett, and the humble index tracking fund, are decisively in the lead. In 2014 the S&P 500 tracker fund chosen to represent the index in the bet rose by 13.6pc. The average gain for the hedge funds was just 5.6pc, according to Fortune magazine, which has been monitoring the bet annually. Since the bet was taken out, the index fund has risen by 63.5pc. The hedge funds, which were picked by Protege Partners, a New York money manager, are up by about 20pc (the exact figure is not known because not all the hedge funds have yet reported their figures). The tracker has beaten the hedge funds in each of the past six years. Only in the first year of the bet did the hedge funds 'win', falling by 24pc amid the turmoil of the financial crisis against 37pc for the tracker. Whoever loses the bet at the end of the 10 years has to pay at least $1m to a charity chosen by the winner. Even the hedge fund champions now concede that Mr Buffett is likely to win the wager, saying that only a severe fall in the stock market could see the hedge funds back in the running. Warren Buffett comfortably won the wager. The tracker fund he chose, a low-cost Vanguard S&P 500 index fund, delivered an annual average return of 7.1pc. In contrast the basket of hedge funds selected by Protege Partners produced an annual average return of 2.2pc. Protege Partners paid $2.2million to a girls charity selected by Mr Buffett, the wager money had grown, it been invested in Berkshire B shares in 2012. It seems buying an index-tracker ISA direct from the provider is increasingly phased out and replaced by buying via a fund platform. Using a fund platform adds an additional annual account charge though this may be offset by lower fund charges negotiated by the platform provider. You can model the impact of annual charges using investment-charges-impact-calculator on Candid Money website. For reference, FTSE All-share Total Return averaged 5.8% over the 17 years 2000-2016 and it averaged 9% over the 7 years 2010-2016.
thisismoney and go to the DIY INVESTING ISA CHARGES table near the top of the page. monevator maintained by investment enthusiasts. comparefundplatforms another calculator from Candid Money. Hargreaves Lansdown Search index tracker funds enquiry. Really excellent information, easy to use, designed for a UK audience. You do not need to be a customer to use the enquiry. Covers index funds which can be purchased via the Hargreaves Lansdown platform - there are enough of them. Morningstar => OEIC/Unit Trusts => Fund Performance pages. Free, topical, reliable and comprehensive but takes a bit of getting used to. Includes all funds not just index-trackers. For some it may offer too much information, too many choices, taking too much time. Number of indices upon which index-tracker funds can be benchmarked has increased over the years. Some indexes have become very specialised. Best to stick with indexes from major providers such as FTSE, MSCI, S&P, and look for funds with at least five years past performance figures. The chart shows returns from £1,000 invested at start-year in various index-tracker funds. As with all such comparisons start-year can change rankings. Other funds tracking the same index should have similar returns. We now own our own pensions. George Osborne's 2014 budget removed many restrictions on pension-pot withdrawls for people retiring after April 2015. A year after the reform, most large fund providers were offering a direct-to-consumer flexible-access drawdown product. Whereas before the reform investors with less than £100,000 were not considered suitable for drawdown and had to buy an annuity. ”In spite of the fact that Pension Freedoms were introduced recklessly fast a few years ago, it is becoming increasingly clear that not only is it extremely popular with investors, it is also working better than many had dared to hope. Tom McPhail, head of retirement policy at Hargreaves Lansdown reported in Financial Times 28 June 2018. Drawdown keeps the pension fund invested while providing an income. You can control the rate by which you consume the pension fund. You can chose how the fund is invested: equities or bonds or a combination. This contrasts with annuities where the pension provider is limited to long-term bond yields. Should you die before the fund is used up, the remaining pension pot can be passed on tax efficiently to beneficiaries. Pension contributions are free of tax but not national-insurance. A 25% tax-free lump-sum can be taken when the pension is cashed-in: whether drawdown or annuity. Employer contributions in addition to the tax advantages make pensions an attractive savings option. Many pension scheme members must transfer their pension pot to a company that provides drawdown when they retire. 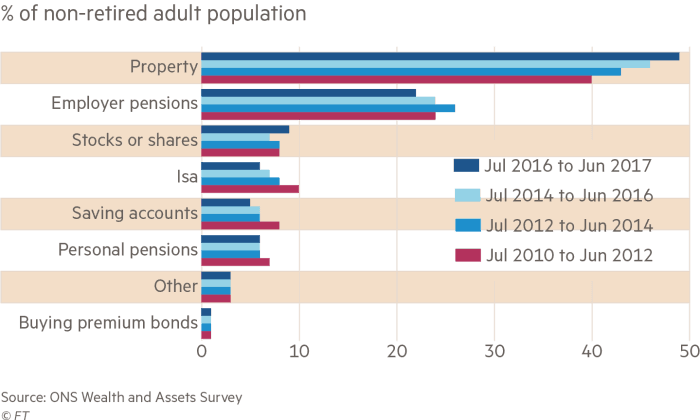 Annual drawdown administration charges are charged on the whole pension pot. There are various drawdown calculators on the web; this example is derived from 'My Retirement Planner' on the Aviva website. For someone retiring in 2018, a pension fund of £180,000 would provide a drawdown income of about £8,700pa for 17 years before it is used up. This compares with the current state pension of £8,546pa. Example assumes 25% tax-free allowance £45,000 is taken. Early in a working lifetime money locked in a pension may be seen as too inflexible. Pay the tax and buy an ISA is then an alternative. If you already receive maximum employer pension contribution and you are under 40, George Osborne's 2016 budget announcing Lifetime ISA's is of interest. From April 2017, people 18-to-40 can start an ISA account, investing up to £4,000/year and receiving 25% from government, max £1,000/year, at the end-of-each tax-year. 25% rebate continues up to age 50. On 06 February 2018 Financial Times reported the latest edition of ONS Wealth and Assets survey published the previous day. Which method of saving for retirement makes the most of your money? Chart shows 49% of people said property was the best way to save, up from 40% in 2012. 23% of adults expect to downsize as a way of getting income in retirement. Our obsession with home ownership seems unlikely to fade soon. Since the 2008 financial crash, house prices have risen in London and the South East but fallen in real terms in other parts of the country, though they are now recovering slowly. Last updated 14 July 2018.